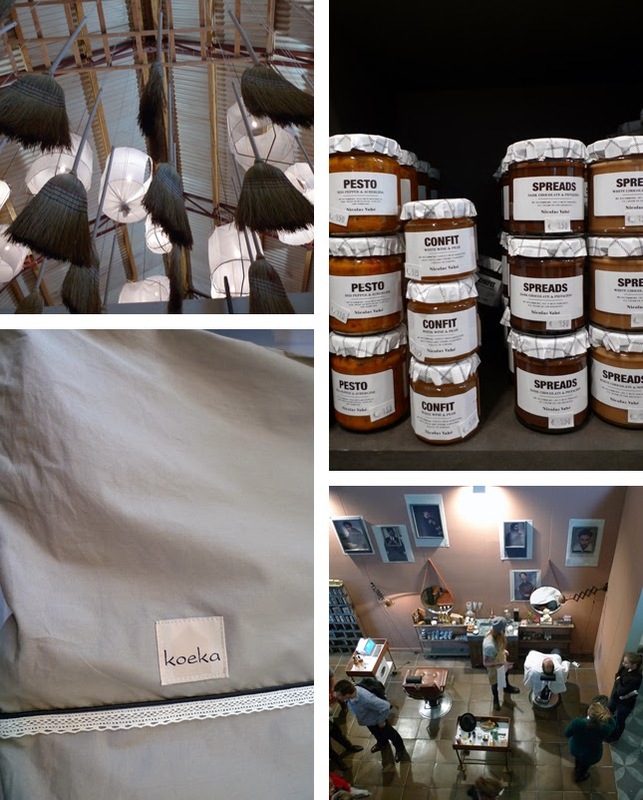 Last week I spent a day at the Woonbeurs Amsterdam with my mum. Lots of stands with really nice things, so I came home with a new fish bowl (actually, it's a vase, but I use it as a fish bowl :), lot's of stuff from brands and a few giveaways (some cool, some quite ugly :). And of course I found some new inspiration: a really fun day! 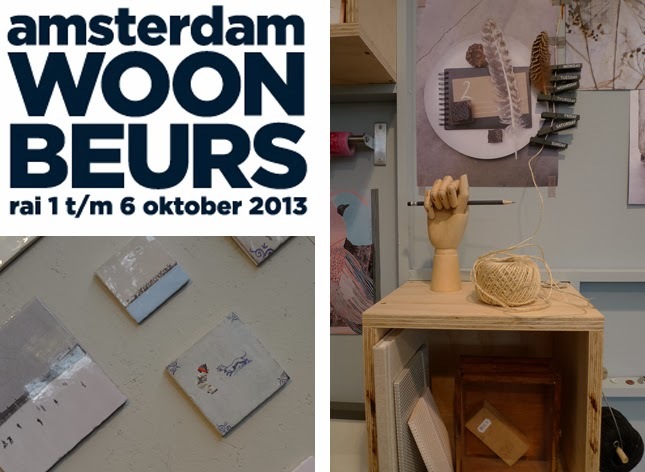 From top to bottom, from left to right: the ceiling of the VT Wonen barn (a Dutch interior magazine); the VT Wonen shop; beautiful products from the new home collection of Koeka; the barber shop in the VT Wonen barn; nice Amaro Creative Industries tiles, similar to Portuguese cabbage dinnerware; styling at the house of 101 Woonideeën (a Dutch interior magazine); and at last Storytiles by Marga van Oers.